One Green Apple tells the story of Farah, who has recently arrived in the US from the Middle East. She is not finding it easy to cope with a new culture and language, but on this, her second day of school, she is going on a field trip to an apple orchard and it is a chance for Farah and her classmates to take the first steps towards friendship and learn that there are ways to get over any barrier of language. Tone of voice, gestures, smiles: all these help to make Farah begin to feel welcome and recognise that some things can and will be just like they were at home. Perhaps what makes the story so powerful is that Farah herself is the narrator. Through the picture-book medium, Eve Bunting has given a clear voice to all those young people who arrive in a new place feeling vulnerable and unable to communicate. It is a story but it reflects certain aspects of reality: not everyone is nice and there are references to intolerance and impatience. However, the overriding message for children in Farah’s situation is that it is possible to feel whole again; and the book also serves as a compelling reminder to children generally of how to make a newcomer feel welcome and reassured. Lewin’s stunning illustrations also deserve a special mention – they enhance the insight offered by the story through their beautifully attuned observation of body language as much as verbal communication; the children’s faces are perfect, whatever their expression. And the word luminosity comes to my mind every time I look at them, they are so enfused with dappled sunlight. 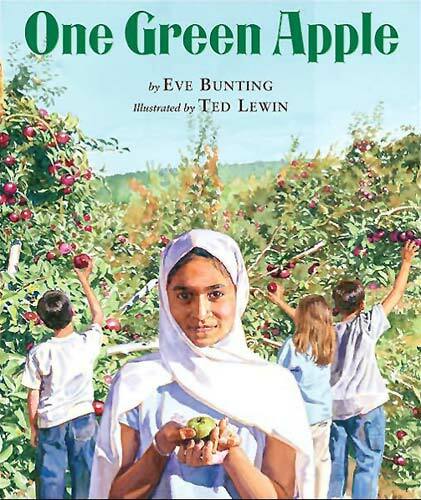 One Green Apple is a book to make children ponder and probably ask lots of questions. I recommend it as one to share, either within family reading time or, especially, as a class at school. 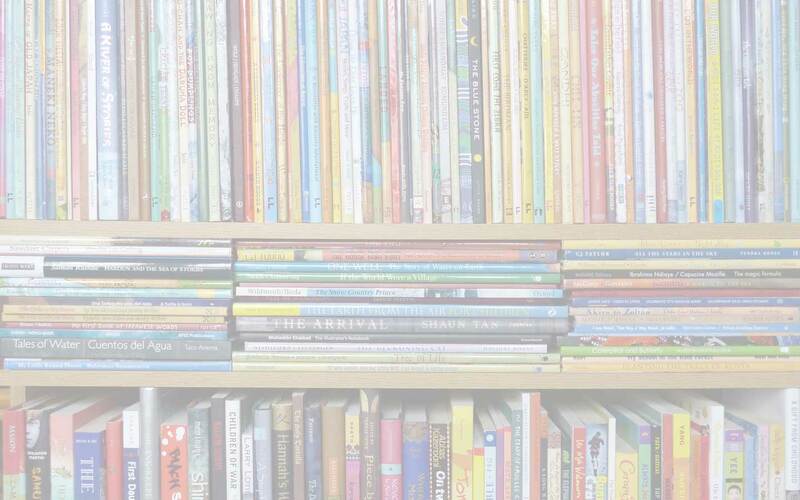 This review is based on a blog post that first appeared here on the PaperTigers.org website in June 2008.
children's books about refugees, Clarion Books, Eve Bunting, MWD book reviews, One Green Apple, Ted Lewin. Bookmark.